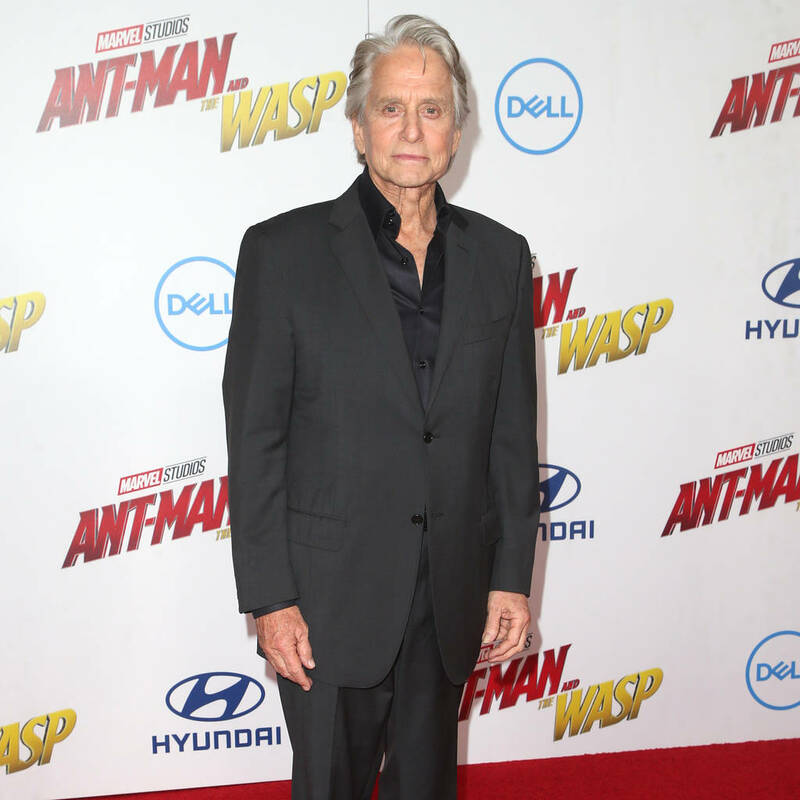 Michael Douglas has never had the opportunity to meet Michelle Pfieffer until they were both cast in Ant-Man and the Wasp. The Hollywood veterans both found fame during the 1980s, with Michael starring in movies such as Fatal Attraction and Wall Street while Michelle bagged roles in Scarface and Dangerous Liaisons. Surprisingly, the duo never crossed path until they were both tapped to star in the latest Marvel flick, and Michael admitted that he has always been impressed with her work. "I didn't know Michelle Pfeiffer before. I have admired her from afar. I was very excited. A big fan. She's still stunning looking," the 73-year-old confessed when he appeared as a guest on British morning show Lorraine. As well as getting to work with one of his favorite actress', Michael was delighted to learn that they would get to play characters "30 years younger" than their real ages. The Behind the Candelabra star added that he and his 60-year-old co-star had lots of fun while the special effects team worked to give them more youthful appearances. "To make you look younger, the technical effects people they have to put these black ink spots on your face for measurements," he explained. "So, when you come to do your scene I'm looking at Michelle Pfeiffer and she has black pimples all over her face and so do I. We had a good laugh to get over all of that." The actor, who has been married to actress Catherine Zeta-Jones for 17 years, is father to three children: Cameron, 39, Dylan, 17, and Carys 15. He also became a grandfather when his eldest son welcomed a daughter, Lua, last December, but Michael believes he'll be far more excited once his youngest child has left the family home. "I still have a kid in the house, grandchildren are great when you are an empty nester," he considered. "I'm sure once Carys is out there, I'll really be reaching out."